Diving brings you in a new and exciting world. Many divers say it changed their lives. Thinking of becoming a diver? Here's some info. The best part of the boat trip is meeting other divers. What do we talk about?- FISH, of course. We've put together dive site infos here. Do you know where Nemo lives? We do. Here's a photo to prove it. Check this page often, because we are adding new photos all the time. 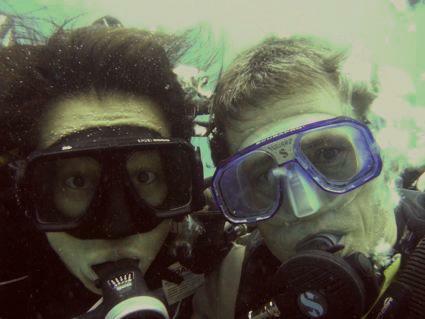 We've been diving around the world for many years now. Our recent favorite is Thailand; Samui, Tao, Phuket, Krabi, Phi Phi and the Similans. What would you expect from a dive trip to the Maldives in low season? A lot of rain, low visibility, strong winds and waves? Well, it can be very different, as we could see on our recent dive trip. 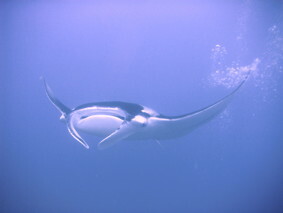 Two Mantas on the first dive raised our expectations, and we were not disappointed. Far away from Phuket's busy tourist areas, this Padi dive center is located in the much quieter village of Naiharn. Ocean Geo Divers offers anything a diver would expect from a perfect diving holiday. The shop is run by Andy and Bum, who we know personally for many years, during which we spent countless fascinating days on daytrip boats around Phuket. 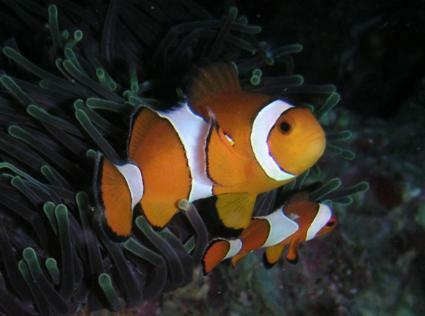 Have a look at the pictures from dive trips to Dahab an to Sharm el Sheikh, Egypt, in the gallery. A White Mooray Eel swimming over the sand at the northern side of Lighthouse Reef, Dahab, South Sinai, Egypt. Click on the picture to see a short clip! There were two Seamoths mating. When the third one showed up, things got a little crazy. We've never seen Seamoths run this fast! Click on the picture to see what happened! Why use a harpoon...when you can use a canon?